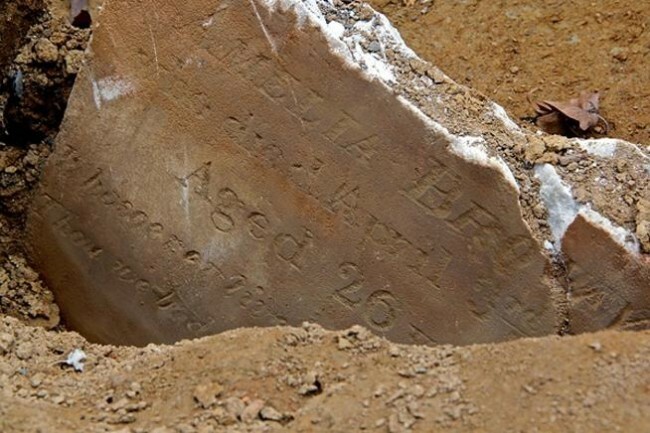 Ten-year-old Alexander Samons died this date, July 4th, in 1842 and was buried at Bethel Burying Ground. Ten-year-old Alexander Samons died this date, July 4th, in 1842 of accidental drowning while bathing in the Schuylkill River. On the night on July 1st, a violent storm hit the Delaware Valley causing the Delaware and Schuylkill Rivers to overflow their banks flooding hundreds of homes in Philadelphia. The newspapers reported, “torrents of rain” from a storm that was the “severest” to occur in the area for many years – this by way of explaining what may have caused the boy to be swept away from the Grays Ferry Wharf by a swirling, powerful current. Above is a painting of the wharf from which Alexander may have been diving before he went under. There are others in the background to the left. The painting was done 6 or 7 years prior to his death in 1842. It is not possible with any certainty to identify Alexander’s parents. The spelling of the last name by the coroner is probably incorrect. The name was “Sammons” and was an old African American family name in Philadelphia. There are several people with that name buried at Bethel Burying Ground. It looks like the boy’s body was pulled from the water by boatmen the same day he drowned and was brought to the Pine Street Wharf upstream from Grays Ferry where the City Coroner examined the body. If you look closely at the death certificate the ink looks like it has been smeared by water droplets. It is unlikely that Alexander was buried on the 4th of July. Black Philadelphia citizens would head out early morning on the 4th to do any food shopping so as to avoid the roving drunk violent white gangs who believed it was their patriotic duty to try and kill any Black man, woman or child they saw on the streets just going about their business. Churches, meeting halls, and homes were looted and burned. A funeral procession of Black citizens would surely have been attacked in Southwark where Bethel Burying Ground was located. ← Eighty-year-old Isaac Davis died this date, June 30th, in 1864 and was buried at Bethel Burying Ground.